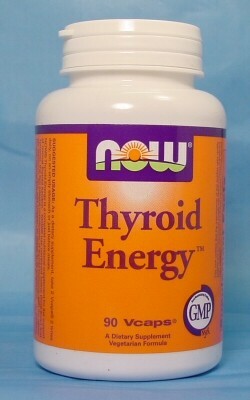 Notably, Thyroid Energy contains 1000 mg. of L-Tyrosine per serving, for a daily dose of 2000 mg. L-Tyrosine is required for the body to produce thyroid hormone. In addition, it may prove extremely helpful for alleviating depression and brain fog, and for weight loss and increased energy. Some fibromyalgia patients are also helped by L-Tyrosine. Formula also contains selenium (for converting T-4, the inactive form of thyroid hormone, to the active T-3), as well as Guggul Extract, an Ayurvedic herb known for its ability to support a healthy metabolism. * 90 V-Caps, average dose 4/day. Caution: Do not take this product if you are using MAO inhibitors or phenylalanine.